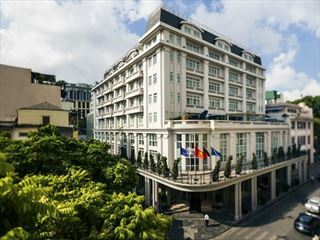 The Sofitel Legend Metropole embodies the French colonial style and grandeur synonymous with Vietnam and if you're hoping to tread in the well heeled footsteps of artists, authors and nobility then this is your opportunity to do so. A splendid location matches the fabulous architectural and interior designs with rooms and suites leaving you in no doubt as to the importance of your stay and how seriously the Sofitel takes guests' comfort and well being. 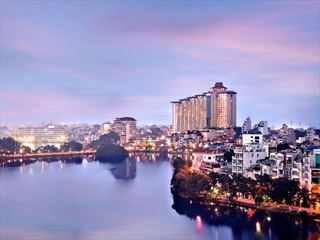 Packed full of heritage and bursting with character you'll discover an abundance of fabulous facilities, and from fine French dining to one of Vietnam's premier luxury fitness suites, this is a wonderful way to enjoy the sights of Hanoi without compromising on style. 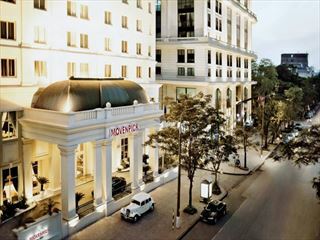 Perfectly situated within the romantic French quarter just a few steps from classic Hanoi highlights, including: Hoan Kiem Lake and the city's historic opera house. Gia Lam Airport is just a couple of miles from the hotel. 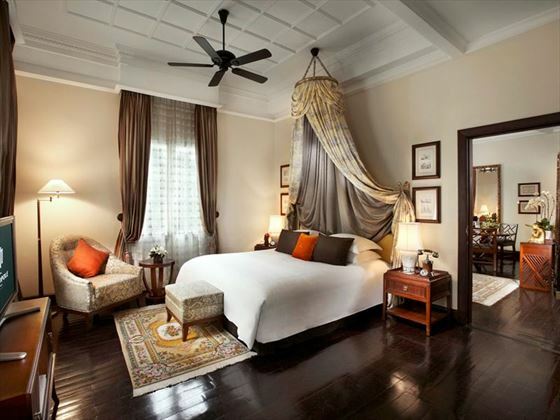 Graham Greene Suite – situated on the second floor with two balconies overlooking the French quarter of Hanoi and featuring classic French interior designs, original wood flooring, signature Sofitel bed, living room with dining table and Hermes bathroom products. Charlie Chaplin Suite – same size and style as the Graham Greene Suite with a third floor location, large windows overlooking the French quarter, one queen-size bed and a Jacuzzi in the marble accented bathroom. Somerset Maugham Suite – same size, style and features as Charlie Chaplin Suite with a first floor location overlooking the hotel garden. Luxury Rooms – about half the size of Legendary Suites mentioned above with similar classic French décor, choice of one queen-size or two twin beds, natural wooden flooring and dark wood furnishings. Grand Luxury Rooms – larger than Luxury Rooms with similar décor and choice of beds as well as a Victorian day bed and wall to wall windows. Premium Rooms – same size as Luxury Rooms and decorated in a neo classical style featuring French windows, living area and a cast iron tub in the white marble tiled bathroom. Premium Rooms with Garden – same size and style as Premium Rooms with an additional open terrace and garden feature. Grand Premium Rooms – larger than Premium Rooms with upgraded furniture and décor incorporated within an open plan floor layout which includes a spa bathroom with free standing tub and separate shower. Grand Premium Rooms also enable guests access to the Club Lounge, which includes the following benefits*: complimentary Wi-Fi, breakfast, high tea, evening cocktails, all day refreshments and 24 hour butler services. Prestige Suites – almost the same size as Legendary Suites with upgraded technology and amenities, master bedroom, neo classical living room and access to the Club Lounge*. Grand Prestige Suite – almost three times the size of Legendary Suites with an incredible array of amenities and luxury comforts, including: one master bedroom, library, office area, large lounge, eight person dining area, individual spa room and access to the Club Lounge*. 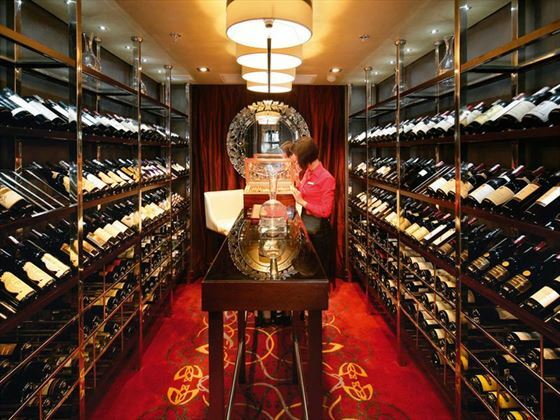 Le Beaulieu – all day dining with an award winning French menu and impressive fine wine list. 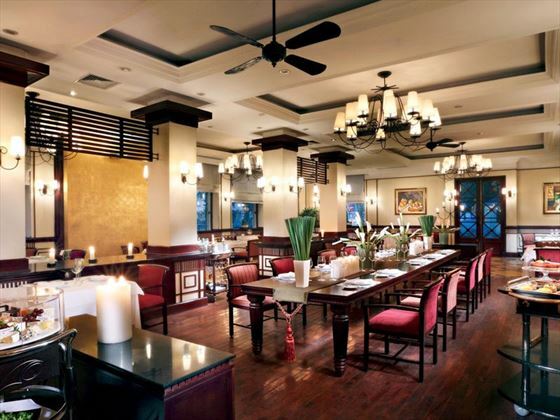 Spices Garden – all day dining with the emphasis on Vietnamese and French fusion as well as garden and swimming pool views. Angelina – Italian chic comes to Hanoi in the form of lunch and evening meals in addition to cocktails, champagne and live DJs to take guests into the wee small hours. 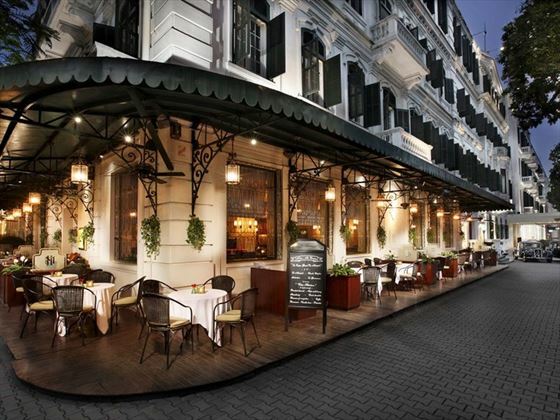 La Terrasse – Parisian style fare with open air access to the fascinating streets of Hanoi. 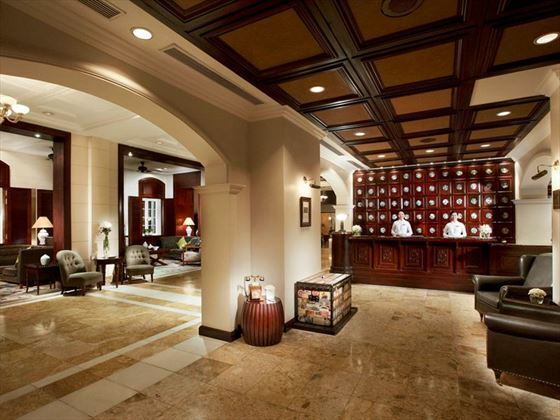 Le Club – live jazz, classic cocktails and a tempting chocolate buffet open for dinner and drinks until after midnight. Bamboo Bar – casual colonial ambience, light snacks and drinks served next to the pool. Le Spa Du Metropole – a sophisticated and relaxing sanctuary from downtown Hanoi featuring seven treatment rooms and booths from where to enjoy 5-star pampering and traditional well being therapies. So Fit – one of the foremost luxury fitness centres in Vietnam with a full quota of Life Fitness equipment, including: static bikes, cardio machines, treadmills, step machines and LCD TVs. 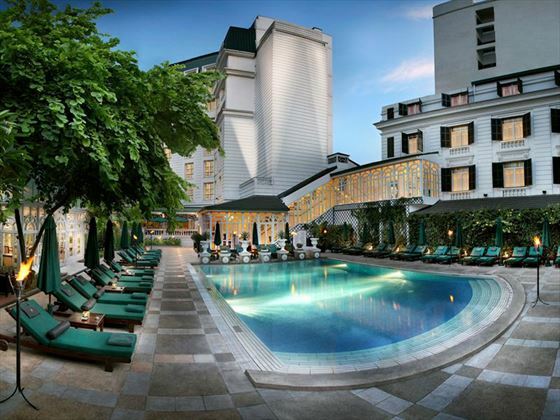 A contemporary, sophisticated and stylish resort, the Pan Pacific Hanoi (formerly Sofitel Plaza) makes for a luxurious base for your exploration of Vietnam's fascinating capital city. It's the perfect home-from-home to return to after a day sightseeing.